1619 First slaves in North America introduced at Jamestown, Virginia, and, though slaves were later sent to other British colonies in the Americas, it was in the South that they became an integral part of the plantation economy. Active slave trade by European powers continued throughout the 18th cent. But by the beginning of the 19th cent., abolitionists were already mounting their campaign to bring about its end. 1770 First ban on US slavery Quakers prohibited slaveholding (among their followers). Slavery had become an integral part of the Southern plantation economy in the US, however, and more inclusive efforts at abolition (such as during the writing of the Constitution) were stubbornly resisted by Southern states. 1798 Kentucky and Virginia Resolutions Resolutions passed (Nov., Dec.) by legislatures in the two states to oppose the Alien and Sedition Acts (1798). The ideas these resolutions put forward laid the basis for states’ rights and the nullification controversy. Written by Thomas Jefferson (Kentucky) and James Madison (Virginia), the resolutions amounted to a reply by Jeffersonian Republicans to the Federalist party interpretation of federal government powers. Essentially, Jefferson put forward the idea of a compact between the federal government and states established by the Constitution. Further, he argued the states had the power to nullify federal laws they deemed unconstitutional. The resolutions were the first statement of states’ rights doctrine. federal tariffs of 1828 and 1832 inoperative within its borders. Pres. Andrew Jackson obtained a force bill allowing him to use military force to collect the tariff in Charleston but through the efforts of Henry Clay, sought a compromise tariff. South Carolina then rescinded its nullification (1833). The issue was not raised again until 1861, when South Carolina seceded from the Union, precipitating the Civil War. 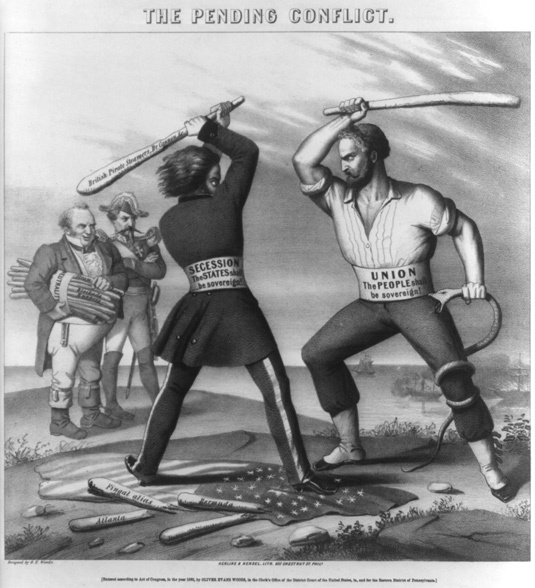 The Union victory in the war ultimately settled the issue by establishing federal supremacy over the states. 1831 Abolitionist Newspaper Liberator founded by William Lloyd Garrison in Boston. 1833 Anti-Slavery Society founded by Garrison in Philadelphia. 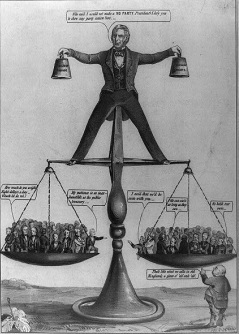 The society split in 1840 over various issues, including Garrison’s extremism, his opposition to involvement in political action to end slavery, and his insistence on putting women’s rights on equal footing with ending slavery. 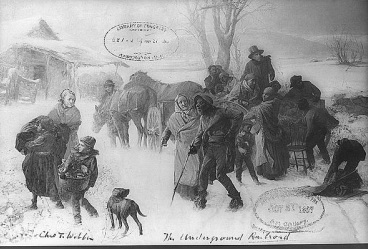 A scene depicting the Underground Railroad. c1838 Underground Railroad Secret system in the United States, organized (c1838) by abolitionists, freed slaves, philanthropists, and church leaders, to help Southern slaves escape to freedom in the North and Canada. Until slavery was ended, the organization provided a network of safe havens for escaping slaves on their way to the North. More than 40,000 slaves were said to have been aided by the Underground Railroad. Among the many opponents of slavery who were directly involved in its operation were Harriet Tubman, a former slave, and Harriet Beecher Stowe, the author of Uncle Tom’s Cabin. The system helped increase Northerners’ sympathy for the plight of slaves and also convinced Southerners that the North would never end its opposition to slavery. 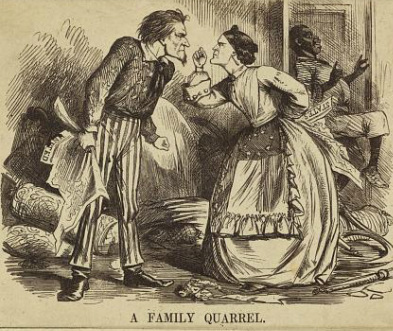 struggle in Congress between pro-slavery and anti-slavery factions continued. 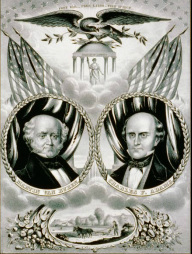 Campaign poster for Free-Soilers Martin Van Buren and his running mate, Charles Adams. 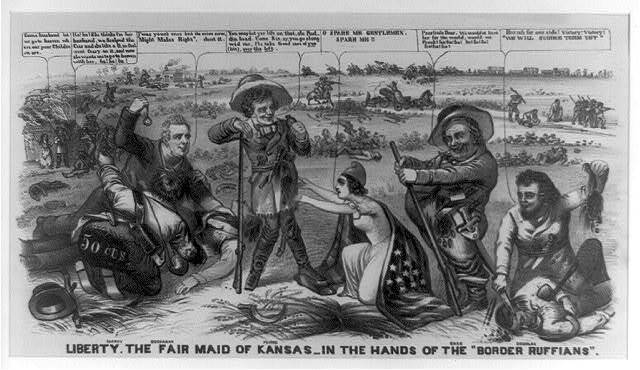 1846 Wilmot Proviso (Aug.); measure (never passed) to prohibit slavery in territories acquired in the Mexican War. The proviso aroused bitter opposition in South and contributed to growing North-South sectionalism. 1848 Proslavery Alabama Platform advanced in opposition to the Wilmot Proviso. 1848 Free-Soil party formed by antislavery Whigs and Liberty party members; their presidential candidate, Martin Van Buren, split the New York vote (1848) and put Zachary Taylor in office. The 1850 "balancing act" by Congress. 1850 Fugitive Slave Act passed. President Millard Fillmore aroused storm of protest from Northern abolitionists by trying to enforce the act, in keeping with the Compromise of 1850. 1857–61 James Buchanan (Democrat) in office as 15th president; though opposed to slavery, he sought compromise; his policies failed to prevent the secession of Southern states (1860–61), however. 1857 Dred Scott Case. US Supreme Court case (1857) involving Dred Scott, a slave taken from Missouri, a slave state, to Illinois, a free state, and then to a free territory. Scott argued that his residence in the free state and territory made him a free man. 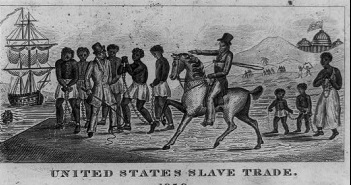 The Court decided against Scott, stating that slaves had no legal standing in court, and that the Missouri Compromise (1820) was unconstitutional. 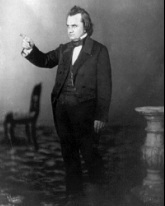 1858 Lincoln-Douglas debates (Aug.–Oct.). The seven debates between Abraham Lincoln and Stephen Douglas during campaign for Senate; Lincoln won national reputation for opposing slavery as immoral; Douglas reelected to Senate. 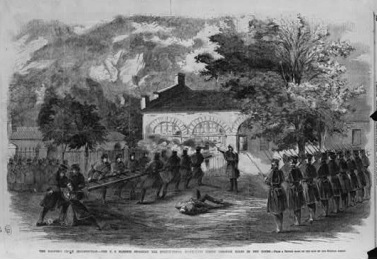 1859 Harpers Ferry Raid Abolitionist attack (Oct. 16–18, 1859) on a federal arsenal at Harpers Ferry, in what became West Virginia, carried out by John Brown and 21 other abolitionists. 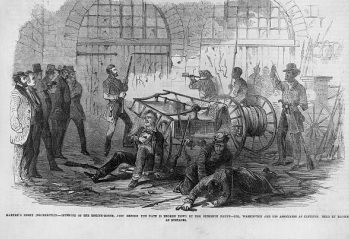 Brown and his men captured the arsenal as part of a plan to start a general slave uprising in the South. Their base at Harpers Ferry was to be the nucleus of a new state in the surrounding mountains, where escaping slaves could find refuge. In fact, the raid was a failure and the arsenal was easily recaptured by combined federal troops and local militia. Brown and six of his followers were hanged. However, the incident had a profound effect on the South, which became convinced the abolitionists would stop at nothing, especially in light of captured documents that showed abolitionists had helped finance the raid. 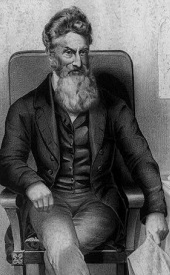 Even though his direct action was generally disapproved, Brown became a martyr of the anti-slavery cause, as attested by the marching song, John Brown’s Body. The incident was a contributing factor in the election of Abraham Lincoln, the subsequent secession of the slave states of the South and thus the American Civil War. Brown's raiders inside the engine house. Marines attack the engine house while being fired on by Brown's raiders.